I first read about Emergency Game Kits in an article by Matthew Baldwin, and fell in love with the idea. 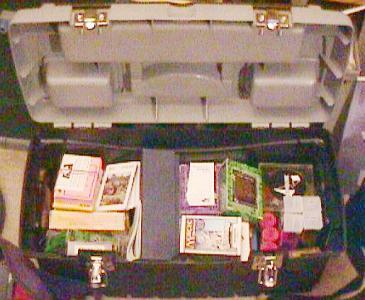 He writes, "My solution to this problem [of being caught short without games] was to consolidate a whole host of small games into a single box -- an all-purpose Emergency Gaming Kit. In this way I could be prepared for every occasion, be it a a small gathering of gamers or a large group of party game enthusiasts." I now have an Emergency Game Kit, and I know several other people in Seattle Cosmic have one too, or something like one. I hope they will list the contents of their kits below, as I have. See also GamesToTheRescue: donating Emergency Game Kits to hospitals. To add an extra sense of emergency (as in Emergency Room), I sometimes call this my EKG, or "Emergency Kit o' Games". Oh, what the hell, here it is. It's this 16-inch model 85025. I highly recommend it. Capacious (as you shall see), yet portable. If anyone complains I stole this picture, tell them it's boosting Rubbermaid's sales. The internal tray of the toolbox has been removed and donated to Marty_Hale-Evans? for holding beads while she works on jewelry. The 24-inch monster toolbox has also been given to Marty for holding sewing supplies. The front of the kit is plastered with Icehouse and piecepack stickers. If you print this sheet out onto sticker paper, you can have piecepack stickers too. The box also has a Seattle Cosmic sticker from our CafeShop. There are two lidded, detachable, compartmented, translucent organisers on top. In August 2003, I added Velcro to hold them tighter so that I can fully open the lid of the kit without the compartments dropping off and spilling their contents everywhere (an increasing problem as the box gets older). 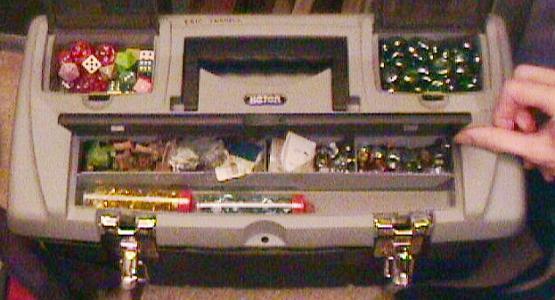 If you buy one of these toolboxes, I suggest you do the same. Many of these card games have been transferred to custom boxes made with the help of the Super Deluxe Tuckbox Template Maker. 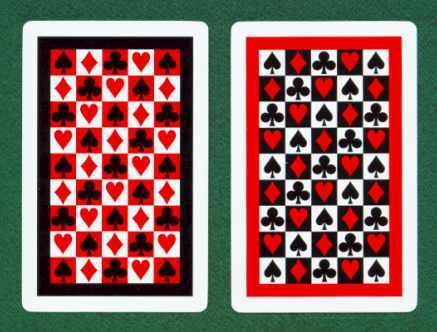 Three copies of a StandardDeckOfCards: a double deck of the left-hand pattern above, and a single deck of the right-hand pattern. I think these "Checkmate" designs are lovely; I bought them because they remind me of ludic synergy. They are made of durable, washable, shufflable plastic. I'll never go back to paper cards. The English edition of Citadels?, by Bruno Faidutti. I used to keep the "butterscotch" tokens from the German edition in the kit, but now I just use yellow stones from the compartment on top for gold. Can't_Stop_the_Turtles?, souped up to be equivalent to Sid Sackson's original Can't_Stop?. I kept all eight dice from the two copies of this game I needed to make it equivalent to Sackson's game. I use them to play Reiner Knizia's excellent game Decathlon, which is available for download. More and more I tend to bring along the binder of rules in progress for the GamesToTheRescueBook too. 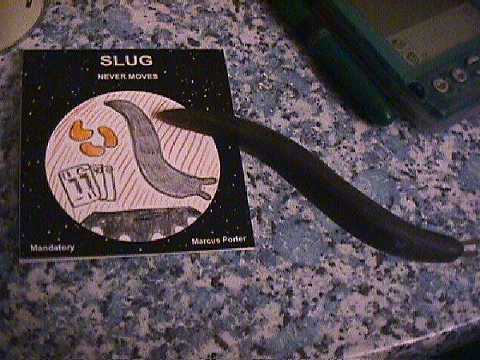 More annotations as I have time or the contents of the kit change. Note that my main adjunct to the box is my Apple Powerbook Pismo G3 laptop which has lots and lots of rules in it; not to mention lots of games.